If you follow me on Twitter, Instagram or Facebook, you know by now that I am nursing 10 hurt nails. Against my better judgement I tried at-home gels, Sensationail, and the removal damaged my nails. 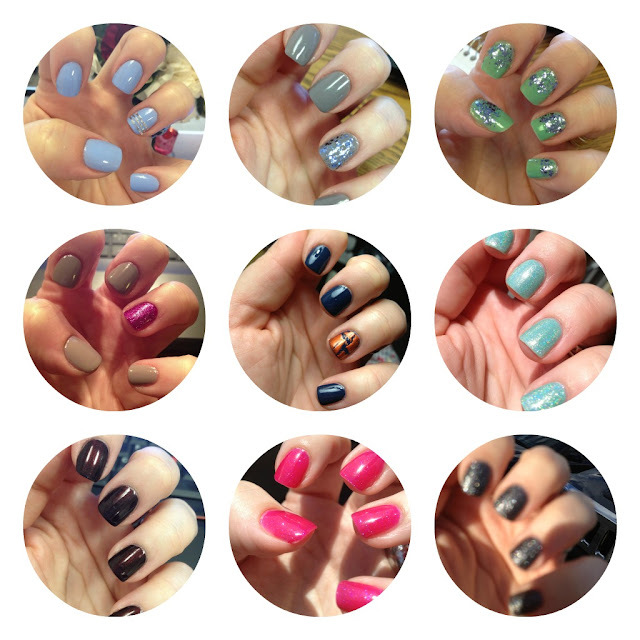 So, as they are quite hard to look upon, I will share some manicures I have stored up on my iphone and instagram that I haven't blogged about. 9.) Butter London 'Gobsmacked' *intentionally blurry to show sparkle! Feel free to come do my nails. Looks great! how did you do the multiple circles into one photo? All of these are fabulous! I especially love the glitter with the green tips! You seriously have the BEST nails!! I think my favorites are #4 at the top and #7 at the bottom. Sorry to hear about your nails' current situation though. I hope they're back to their normal state soon! Good to know to stay away from Sensationail! Beautiful manis! Loving the green in the very top right! So I totally need to do my nails, I'm so jealous of everything you have going on! 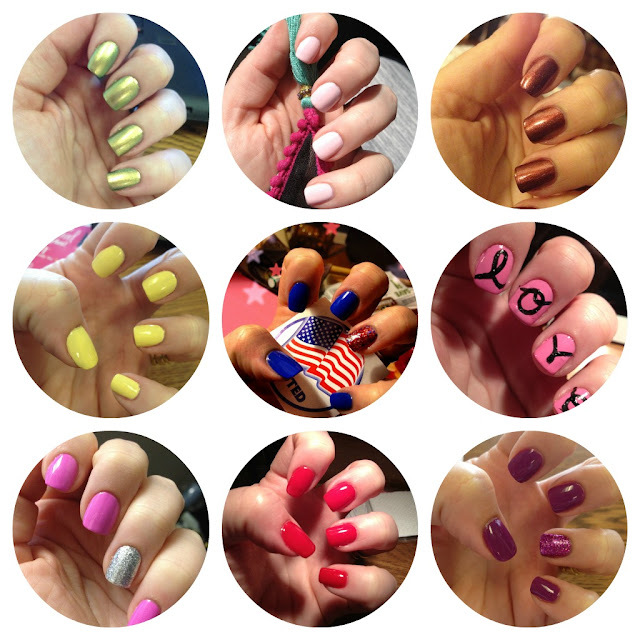 Personally -- I love the last mani the best!! Such a great post!! I love Chinchilly and Turq and Cacos. And your "love" nails!